Our delicious real dairy ice cream is made fresh right here on Daisy Made Farm, using milk from our own cows. With an incredible range of over 60 flavours, as well as 5 different sundaes, there will be something to tickle anyone's fancy. If you're in a hurry you can even grab an ice cream on the go from our Lazy Daisy Drive-Thru! After something a little more filling? Our cafe serves a range of tasty treats, both savoury and sweet. From breakfast baps and omelettes to warm Belgian waffles and freshly made pancakes. Or you could just enjoy a mug of fresh ground Stokes coffee and a delicious slice of cake. 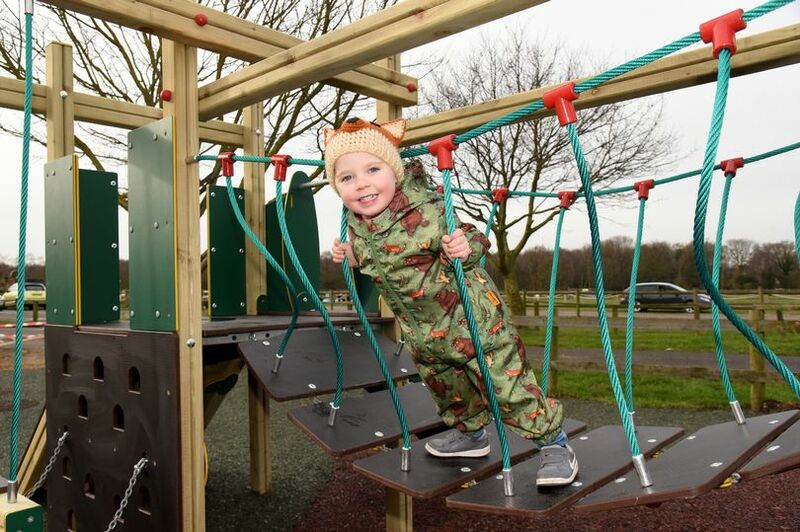 Installed in February 2019, our brand new play area is a great place for little ones to burn off some energy. In addition to challenging play equipment and ride-on tractors, we also have a new animal barn where you can see our rabbits and guinea pigs. A 13-hole crazy golf course, with a farmyard theme! Thread your golf ball through Daisy's Barn, dodge the Combine Harvester and get by Poppy the Pig. Test your skills and find out if you can get round under par. Real working Diggers - only kiddy sized! Excavate your way through the sand pit with these hydraulic mini diggers, and see if you can master the controls. Our pygmy goats are very friendly and love to say hello (especially if you have food!). We have rabbits and guinea pigs for you to meet, and during summer you can say hello to our calves in the paddock too! If you keep an eye out, you may even spot Daisy and all 90 of her friends wandering in the field alongside the shop. 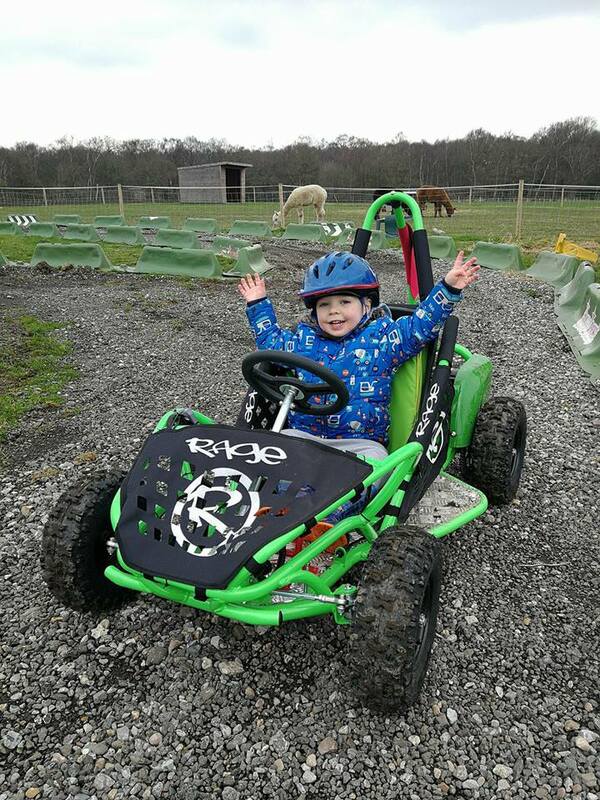 Learn to drive go kart, and have great fun doing it! That's what our cars are all about. Drive around a race track and find out just how much fun driving can be. Or you can hop on the bouncy castle and have a good jump around instead!